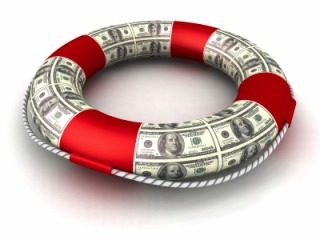 Do you have a Family Emergency Fund? 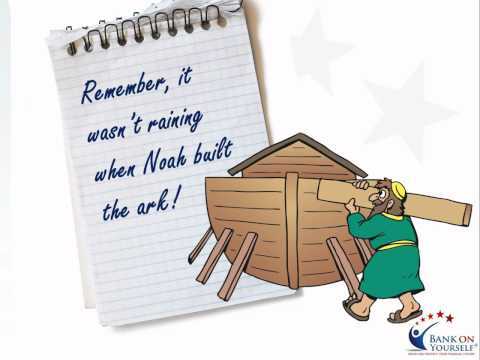 After Bank On Yourself Authorized Advisors (a life insurance agent with advanced training on this concept) complete a financial analysis with a client, it’s rare that they find a family that has more than $3,000 in liquid cash savings they can tap into in an emergency. Whether we’re headed into economic uncertainty, or in more stable financial environments, it’s difficult to predict life’s twists and turns. Life tends to throw us curve balls when we least expect them. Financial emergencies are a fact of life and can occur at anytime, from your furnace unexpectedly breaking down, to losing your job, to a medical emergency (the cause of 50% of all bankruptcies, according to Health Affairs, “Illness and Injury as Contributors to Bankruptcy”). secret to having a financially stress-free life. Download our helpful Consumer Guide to Policy Loans, which answers most frequently asked questions about whole life insurance policy loans. And what about life’s ultimate emergency? While Bank on Yourself is a great wealth-building and financing strategy, it can also protect your loved ones if the unexpected happens. Unfortunately, untimely death is also a part of life. Even if you have the ability to deal with the financial emergencies life throws at you, 30% of U.S. households have no life insurance protection at all, according to LIMRA (“Facts About Life 2015″), and 70 million people say they know they need more. Whether it’s your car breaking down or an unexpected death, Bank on Yourself should be part of your financial emergency plan. Would you like to find out what your bottom-line numbers and results could be if you added Bank On Yourself to your financial plan? Simply request a FREE analysis here. More than 500,000 people are enjoying these benefits today because they have rejected the conventional financial “wisdom” and are now in control of their financial well-being. 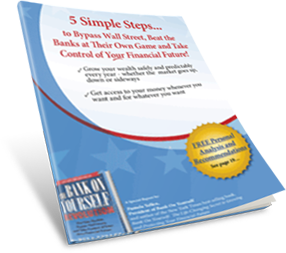 Bank on Yourself was established in 2002 to educate Americans about this proven way to have a rock-solid financial plan, with no luck, skill or guesswork required. Wondering where you’ll find the money to Bank On Yourself? There are at least eight ways to do this, so don’t rule yourself out for that reason.